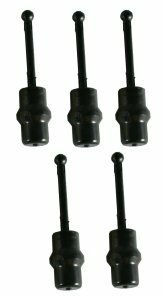 EPDM O-Rings (AS568-911) For Use With Lakewood Instruments Cooling Tower Ph, Conductivity, ORP Sensors, And Flow Sights. These O-Rings Are Sold In Packages Of 10. 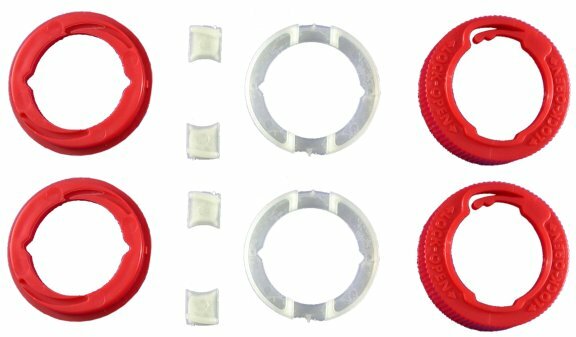 The Red Ring Replacement Kit Comes With Everything Needed Except Glue, To Replace The Red Locking Ring On A Lakewood Instruments Plumbing Assembly. These Kits Are Sold In Sets Of Two. 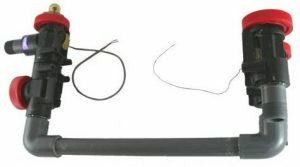 This Reed Switch Assembly Comes With 16 Inches Of Cable For Use With Flow Switch Plumbing Assemblies That Are Attached To The Lakewood Instruments Controller Enclosures. 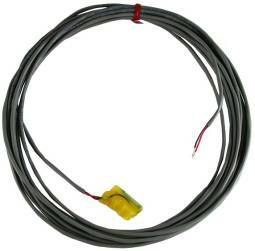 This Reed Switch Assembly Comes With 20 Feet Of Cable For Use With Flow Switch Plumbing Assemblies That Are NOT Attached To The Lakewood Instruments Controller Enclosure. 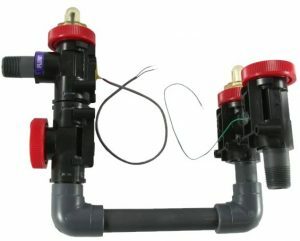 The Flow Float Is Used In The Lakewood Instruments Flow Switch Plumbing Assemblies. 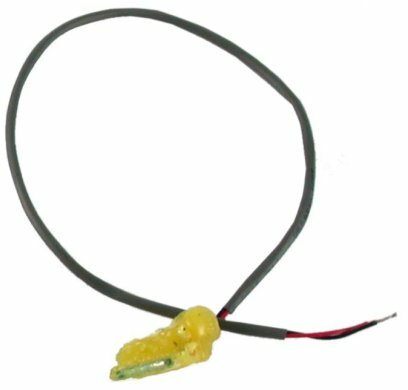 The Flow Float Activates The Reed Switch And Provides A Visual Indicator Of Flow. The Floats Are Sold In Sets Of Five. 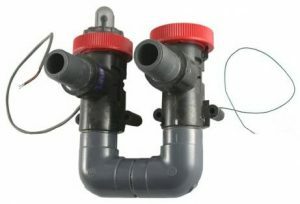 The Flow Sight (With O–Ring) Is Part Of The Flow Switch Plumbing Assembly. 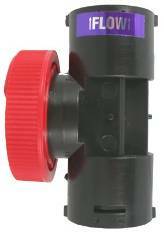 The Flow Sight Allows A Visible Indication Of The Condition Of The Flow Float. 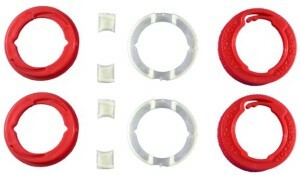 The Sights Are Sold In Sets Of Five. The Replacement Plumbing Assembly With 3/4 Inch NPT Connections For Use With The Model 101, 111, 151, 161, 140, And 1575e W/ Cooling Tower Conductivity Sensors. Does Not Include Flow Switch. 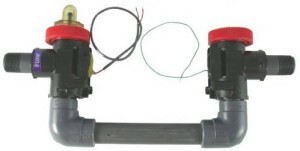 The Replacement Plumbing Assembly Comes With Flow Sight, Float, Reed Switch, And 3/4 Inch NPT Connections For Use With The Model 101-FS, 111-FS, 151-FS, 161-FS, 173, 175, 211, 215, 222C, 224C, Or 2175 Cooling Tower Controllers. The Replacement Plumbing Assembly Comes With Flow Sight, Float, Reed Switch, And 3/4 Inch NPT Connections For Use With The Models 101-RSFS, 111-RSFS, 151-RSFS, 161-RSFS, 140 W/ FS, 1575e W/ FS, 2175e, and 2875e Cooling Tower Controllers. Plumbing FS 20 ft. Right Exit. The Replacement Plumbing Assembly Comes With Flow Sight, Float, Reed Switch, And 3/4 Inch NPT Connections For Use With The Models 101-RSFS, 111-RSFS, 151-RSFS, 161-RSFS, 140 W/ FS, 1575e W/ FS, 2175e, and 2875e Cooling Tower Controllers. This plumbing assembly exits to the right. 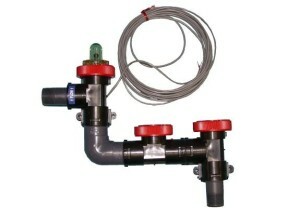 This Replacement Plumbing Assembly Is Designed For 3/4 Inch Solvent Weld Connections. 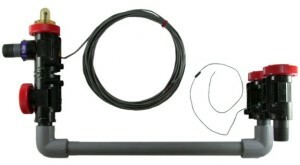 Used With Lakewood Instruments Cooling Tower Conductivity Sensors. The Replacement Plumbing Assembly Comes With Flow Sight, Float, Reed Switch, Solution Ground, And 3/4 Inch NPT Connections For Use With The Model 2330, Or 2350 Cooling Tower Controllers. 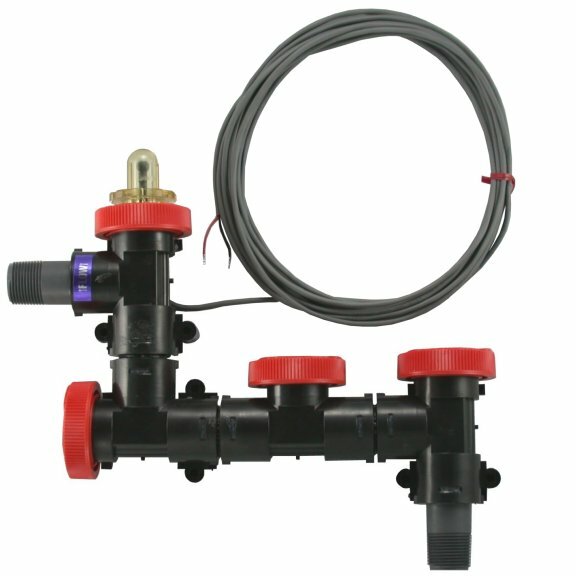 The Replacement Plumbing Assembly Comes With Flow Sight, Float, Reed Switch, Solution Ground And 3/4 Inch NPT Connections For Use With The Model 330, Or 350 Cooling Tower Controllers. The Replacement Plumbing Assembly Comes With Flow Sight, Float, Reed Switch, Solution Ground And 3/4 Inch NPT Connections For Use With The Model 2412, Or 2430 Cooling Tower Controllers. The Replacement Plumbing Assembly Comes With Flow Sight, Float, Reed Switch, Solution Ground And 3/4 Inch NPT Connections For Use With The Model 412 Cooling Tower Controller. 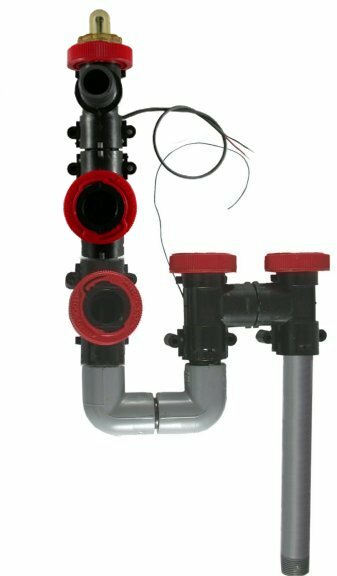 The Replacement Plumbing Assembly Comes With Flow Sight, Float, Reed Switch, Solution Ground And 3/4 Inch NPT Connections For Use With The Model 420 Cooling Tower Controller. The Replacement Plumbing Assembly With 90˚ Bend Comes With Flow Sight, Float, Reed Switch, Solution Ground And 3/4 Inch NPT Connections. Used On The Model 1400 Cooling Tower Controller. The Replacement Plumbing Assembly With 0˚ Bend Comes With Flow Sight, Float, Reed Switch, Solution Ground And 3/4 Inch NPT Connections. 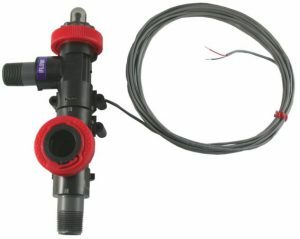 Used On The Model 2412-N4, And 2430-N4 Cooling Tower Controllers. The Replacement Plumbing Assembly With 90˚ Bend Comes With Flow Sight, Float, Reed Switch, Solution Ground, 3/4 Inch NPT Connections, And An Extra Tee For Use With A Corrosion Sensor. Used On The Model 1400 Cooling Tower Controller With Corrosion Monitor. 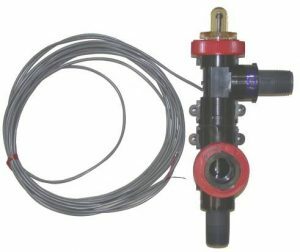 The Replacement Plumbing Assembly With 0˚ Bend Comes With Flow Sight, Float, Reed Switch, Solution Ground 3/4 Inch NPT Connections, And An Extra Tee For Use With A Corrosion Sensor. Used On The Model 1400 Cooling Tower Controller With Corrosion Monitor. The Replacement Plumbing Assembly Comes With Flow Sight, Float, Reed Switch, And 3/4 Inch NPT Connections. For Use With The Model 1520e, 1530e, 2330e, or 2350e Cooling Tower Controllers. Does Not Include Solution Ground. Also available in Right Exit version. 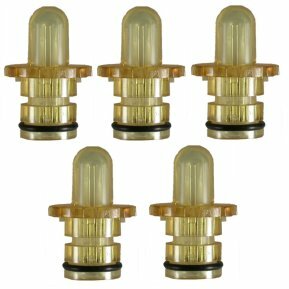 Contact Lakewood for part number. The Replacement Plumbing Assembly Comes With Flow Sight, Float, Reed Switch, And 3/4 Inch NPT Connections. 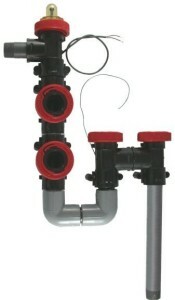 For Use With The Model 1512e, 2412e, or 2430e Cooling Tower Controllers. 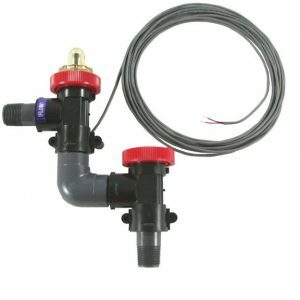 The Replacement Plumbing Assembly Comes With Flow Sight, Float, Reed Switch, And 3/4 Inch NPT Connections. 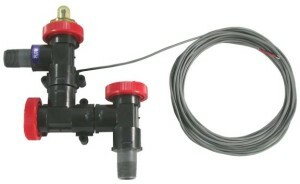 For Use With The Model 2832e Cooling Tower Controllers. 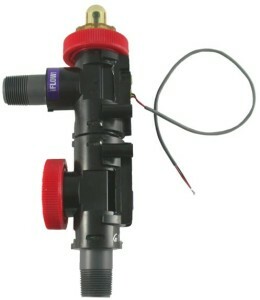 The Replacement Plumbing Assembly Comes With Flow Sight, Float, Reed Switch, And 3/4 Inch NPT Connections. 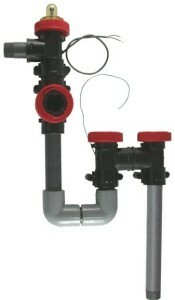 For Use With The Model 2000e Cooling Tower Controllers.